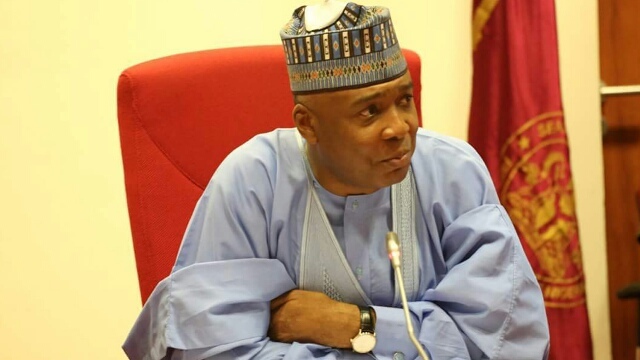 Senate President Bukola Saraki believes that the present administration is racing against time as it battles to address the myriads of challenges facing the country. In an interview he granted to New Telegraph, Saraki stated that he has never seen this type of suffering in Nigeria since he join politics. "What we all need to understand is that this recession is not an All Progressives Congress (APC) or Peoples Democratic Party (PDP) problem. This recession does not identify with any party, hence we need to tap into the expertise of our best economic minds wherever they are around the world to come up with plans that both the executive and the legislature can evaluate and implement. We are going to have an exhaustive and comprehensive debate on fixing the country’s economy when we resume next week. Already, all the economic priority bills are being analysed and collated, so that we can hit the ground running when we resume. We understand the pains that Nigerians are going through and we do not take this for granted. "The Senate intends to invite everybody involved in the management of the economy to address the Nigerian people through the parliament on the steps that are being taken to get us out of this mess. "We fully intend to hold all those involved in the economic management of the country accountable. However, we will do so in a manner that is transparent and beneficial to the country. In every crisis, there is always an opportunity for positive reforms, in this regard, in order to solve this crisis, all hands must be on deck. Ideas should be sourced from all quarters. All arms of government, people of different political beliefs, from all socio-economic backgrounds and every part of Nigeria must work together at this time. We need to ascertain our actual level of borrowing and what effect the devaluation of the naira has had on our economy; doing this will help us to understand where we are, so that we can determine where exactly we want to go from here. "You will remember also that a lot of pressure came to devalue the naira, that once we allow a free market, it will help foreign exchange but devaluation has taken place but there is no inflow as the supply side has been low and as such, we are beginning to see impact on the weaknesses of the naira . So, the questions we should be asking those who are managing our economy is: How did we get it wrong? What happened to those other indices that should have come in? Actually, one of those indices is what I called confidence; there is a lack of confidence, whether you want to accept it or not. People are not investing in our economy and with that we are going to have challenges. We believe these are the areas we as Senate will be focusing on. "To have a robust debate, we are going to bring in people who are resourceful to come and tell us the way out. And I can assure Nigerians that we are not going to cover anybody up. Nigerians would know the truth and we will ensure that solutions are going to come, and where people are not capable of delivering, we will advise the president accordingly on what need to be done. "This matter has gone beyond what they call ‘man know man.’ This matter affects everyone and nobody is too large or big to be sacrificed in this process. People are truly suffering and I think for the period that I have been in politics; I have not seen this type of suffering. As such, it requires that we find a solution. It is not that there are no solutions. Yes, sacrifices would be made and we must tackle it collectively and that is why I keep on emphasising the need for inclusiveness. This is the time we should lay less emphasis on the different political parties but work with whoever has the solution. All I can say about Saraki's statement on present state of our economy is that we need to sacrifice with out considering who is big or position. Now let Saraki called on all those acquire wealth illegally and those who stole the country wealth to return them. Evidence proofs that if all stolen wealth can return them, NIGERIA economy will be buoyant and healthy. Let true conscience play a major part in the minds of all concerned. Calling all peoples to talk will bring in enemies of Nigeria to discuss economic growth in the country. Saraki let your conscience work for the good of the country. Good luck to Nigeria.